Looking for private in-home or in-studio Viola lessons? Our Sunnyvale teachers are ready to get you started. Find your teacher today! A private Viola instructor for almost 15 years, my students have gone on to participate in prestigious Youth Symphonies, and festival orchestras at the Regional and All-State levels. 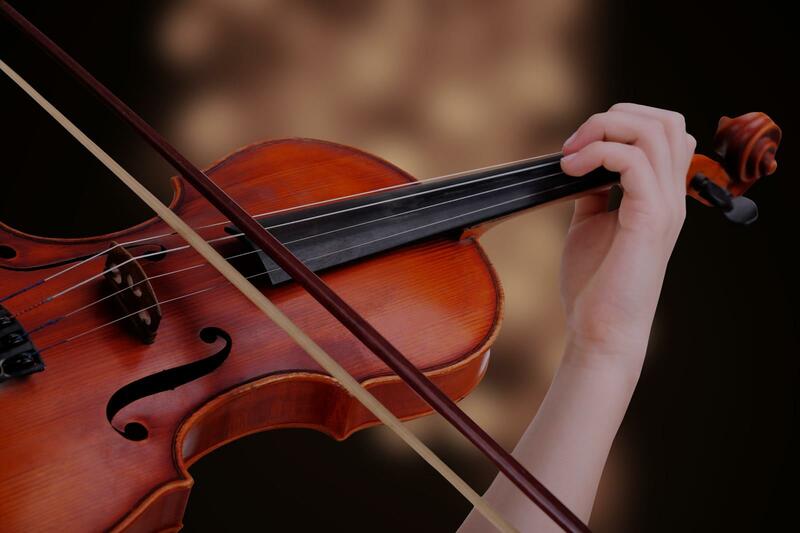 I focus on building a strong foundation of bow and left hand technique, with students participating in selecting repertoire they enjoy for auditions, talent shows, or just for fun! I specialize in classical, but have worked in multiple styles, and utilize a variety of books for scales, exercises, and solo pieces. Lisa has a Bachelor's of Viola Performance from Brigham Young University, where she had access to little known music in the Primrose International Viola Archive. At BYU she studied primarily with Dr. Claudine Bigelow, Dr. LeeAnn Morgan, and Scott Lewis of the Utah Symphony. Lisa has been teaching viola for almost 15 years, beginning with the co-founding of a non-profit program at her local high school teaching low-income elementary students, and spanning over a decade of private instruction for students of all ages and levels. She is well-versed in multiple methods such as Galamian, Flesch, Auer, Primrose, Kreutzer and more! xercises to support techniques in any genre. Lisa believes music lessons should be fun and help students feel at ease! My son Peter started with Lisa as his first Viola teacher. He had studied piano for about 5 years and Lisa came with high recommendations as Peter went from piano to viola. Peter eventually progressed to an hour long session. Peter performed with the Metropolitan Youth Symphony for 2 years and his first year with the Phoenix Youth Symphony all with Lisa guiding his talented bow. Lisa has been a major influence in Peter's continued success with the viola as he has performed with the Arizona State Orchestra in 2016 and 2017. Lisa is an inspired teacher and a wonderful person. I been taking lessons from Lisa for over a year. I picked up the viola after a 25 year break. She has always been very patient with me. I have learned a lot and am very satisfied with my progress. She is knowledgeable and a skilled musician. Lisa is a very friendly and up-beat teacher. I would recommend her to students of all ages and abilities. Lisa Williams has been my daughter's 1st viola teacher for the past year and a half. What she has accomplished with her has been nothing short of amazing. My daughter, Lillie, has progressed through the 1st 4 Suzuki book levels, & is preparing with Lisa to audition for the Phoenix Youth Symphony. Lisa quickly developed a rapport with Lillie & gave her the foundation for playing, reading music & understanding how to prepare for auditions. Lisa blends traditional approaches of classical music instruction & music theory with contemporary methods & musicality. She instills confidence through her teaching & positive reinforcement & gives effective critiques without negativity. Lisa is a consummate professional who cares about her students & her passion for music is infectious. Lisa challenges Lillie & as a result, she can't wait to play new music & learn new scales. Lisa has also inspired Lillie to help her friends with tuning & technique at school. :). Great teacher & better person.